In the 21st century, top producers of TV shows are celebrated as “showrunners.” In the 20th century, such figures were anonymous to the general public. Thus was the case with Charles Larson. 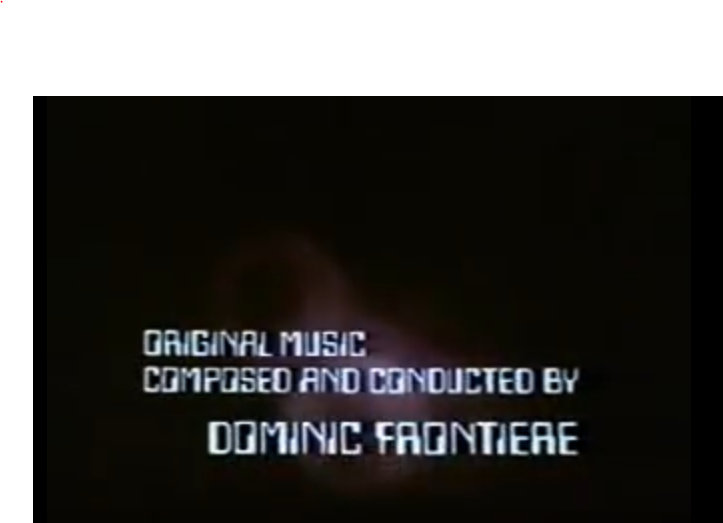 He was the founding producer (i.e. 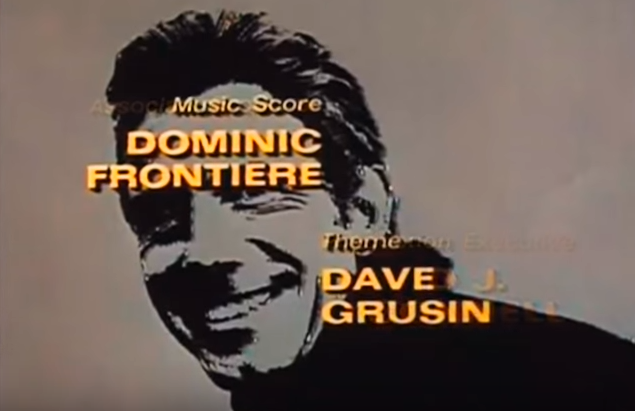 the day-to-day producer) of The FBI, who probably should have credited as the series creator but the show never had a creator credit. He guided other series as well. As a writer only, Larson worked on everything from the Clayton Moore-Jay Silverheels version of The Lone Ranger to the mini-series Centennial. One of his fans was director Ralph Senensky, whose many credits included episodes of 12 O’Clock High and The FBI where Larson worked as associate producer and producer respectively. Larson “was a fine writer who did an amazing amount of rewriting on scripts before and even during filming,” Senensky wrote about Larson. 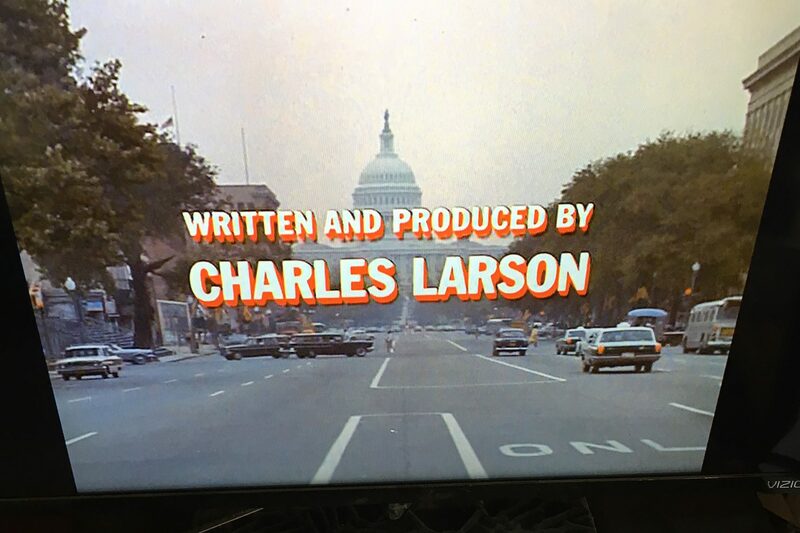 On The FBI, Larson wrote and produced the fourth episode, “Slow March Up a Steel Hill.” It looks like it may have been the pilot. There’s a lot of explanatory dialogue concerning how the wife of Inspector Erskine (Efrem Zimbalist Jr.) was killed in an ambush meant for the FBI man. Erskine’s sidekick is determined to marry Erskine’s college-age daughter (!). And it’s established that Erskine was so stubborn, he sometimes got in trouble with his boss, assistant director Arthur Ward (Philip Abbott). 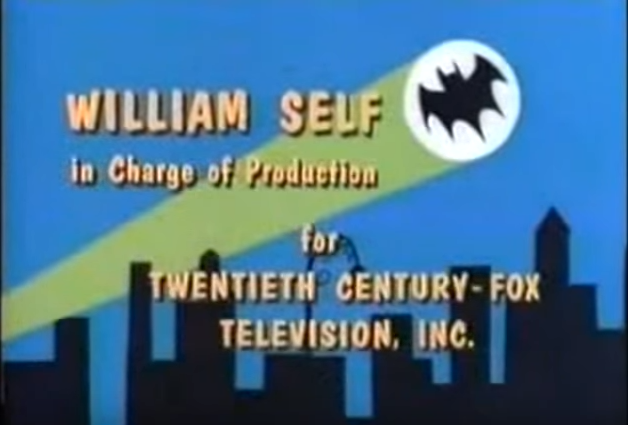 The latter theme wouldn’t be used much after the first half of the first season. After departing The FBI after the fourth season, Larson produced other series, none of which was a big hit. He continued as a writer beyond that. One of his most memorable scripts was for the 1977 Hawaii Five-O episode The Bells Toll at Noon. There were three separate writing credits but Larson was listed as doing the final teleplay. The story concerns a disturbed man (Rich Little) who kills people while re-enacting scenes from classic movies. Little, the famed impressionist, mimicked James Cagney and other movie stars. It was one of the highlights of the show’s ninth season. Larson died in 2006 at the age of 83. 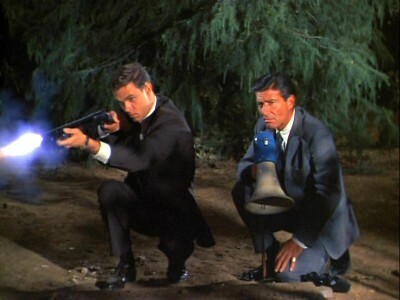 Stephen Brooks and Efrem Zimbalist Jr. as photographed by William W. Spencer in The FBI. Another in a series of unsung figures of television. With films, the director of photography often is celebrated as an artist and a critical contributor. On television? Not so much. Even today, with TV’s prestige at an all-time high (where television is hailed as more adult than motion pictures), directors of photography don’t get the attention of their movie counterparts. However, people who worked with television directors of photography are fully aware of how much they bring to the table. That’s certainly the case with William W. Spencer, a two-time Emmy winner who was also nominated a third. “Billy Spencer was an artist who painted with light,” director Ralph Senensky wrote on his website about The FBI episode titled The Assassin. Similar comments were expressed by those in front of the camera. “He knew what he wanted all the time, how he wanted to set it up, how it would be dramatically correct,” actress Lynda Day George told author Jonathan Etter for the book Quinn Martin, Producer. In the first episode of The FBI, Jeffrey Hunter played Francis Jerome, a psychotic killer with sexual identity issues. Jerome kills women by strangling them with their own long hair. In Act III, Jerome visits the dreary home of his domineering grandmother (Estelle Winwood). After bending to her will, yet again, Jerome freaks out as he looks at the portrait of the long-haired Blue Boy. In a close up, Spencer’s lights emphasize Jerome’s eyes. In the 21st century, that’s an old-fashioned technique, but effective in telling the story. Born in 1921, Spencer worked camera-related jobs at Metro-Goldwyn-Mayer as the studio was beginning to decline from its glory days. He graduated to director of photography (one of two) for the 1958 movie Andy Hardy Comes Home. MGM shifted Spencer to television with a series based on The Thin Man. He would work in television for the bulk of his career. That meant working faster than even modestly budgeted movies. “You were constantly adapting, constantly sacrificing and letting things go,” Spencer told Etter for the Quinn Martin book. Spencer worked on various series, including The Richard Boone Show, an anthology show with the same actors appearing every week. From there, he was recruited to QM Productions and assigned to photograph 12 O’Clock High, the World War II drama. The director of photography picked up his first Emmy for that series. QM then shifted Spencer to The FBI, the production company’s first color series. “Now he was filming in color and his photography was magnificent, because he lit it the same way he lit black and white, with cross lighting,” Ralph Senensky wrote about The Assassin episode of The FBI..
Spencer mostly worked at QM for more than a decade. He occasionally scored movie jobs, including 1967’s Countdown and QM’s only feature film, 1971’s The Mephisto Waltz. After QM ceased operations, Spencer remained active into the 1980s. He won a second Emmy for the Fame television series. Spencer died in 2007, at the age of 85. John Conwell’s title card in a second-season episode of 12 O’Clock High. One of an occasional series about unsung heroes of television. In the 1960s and ’70s, shows produced at QM Productions had the feel of a repertory theater as many of the same guest stars appeared on various Quinn Martin shows. As noted in the book Quinn Martin, Producer, there was an even nick name for this: the “QM Players.” The informal group consisted of performers such as Leslie Nielsen (star of the first QM series, The New Breed), Peter Mark Richman, Louise Latham, Jessica Walter, J.D. Cannon, Lynda Day George, Bradford Dillman and many others. The QM executive responsible for this was John Conwell, who headed the company’s casting operation. He was a former actor, appearing in such productions as The Twilight Zone pilot, Where Is Everybody? and as a guest star in a Ray Milland series, Markham. Conwell moved from in front of the camera to behind it, including the fourth season of The Twilight Zone, when the show aired in a one-hour format. 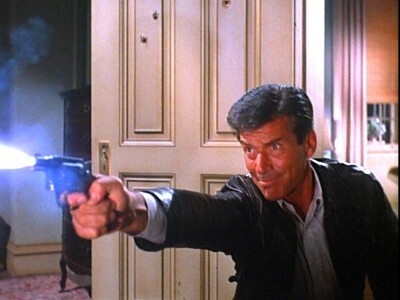 He became part of QM Productions with that company’s second series, The Fugitive. 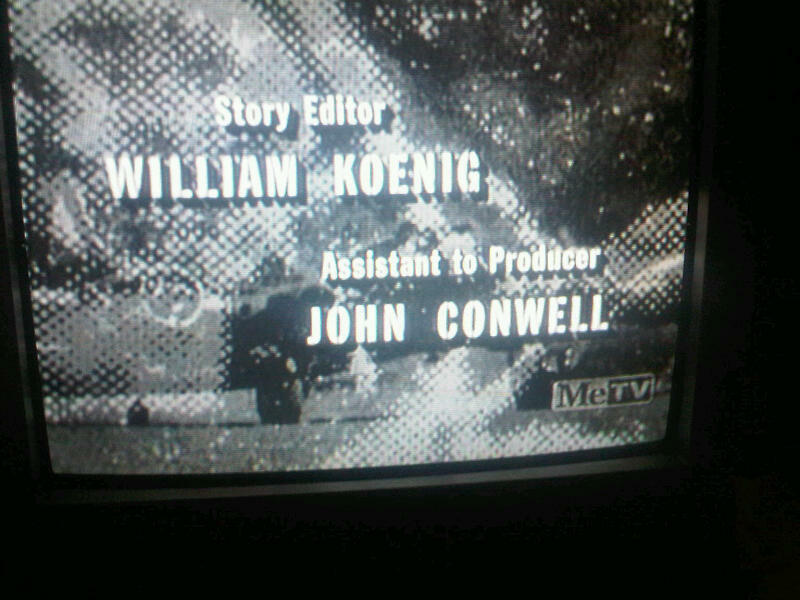 For most of his time at QM, however, Conwell’s titles in QM show credits didn’t really give the audience an idea of what he did. In any case, Conwell became one of producer Quinn Martin’s key lieutenants. Martin paid more for guest stars ($5,000 for a one-hour episode compared with a going rate of $2,500). So that helped raise the interest of performers to be on QM shows. Still, it was Conwell who ran the QM casting operation, which also had casting directors for individual series. That may help to explain why actors kept coming back. Conwell even stayed at the company after Martin’s departure following the sale of QM Productions to Taft Broadcasting. He died in 1994 at the age of 72.